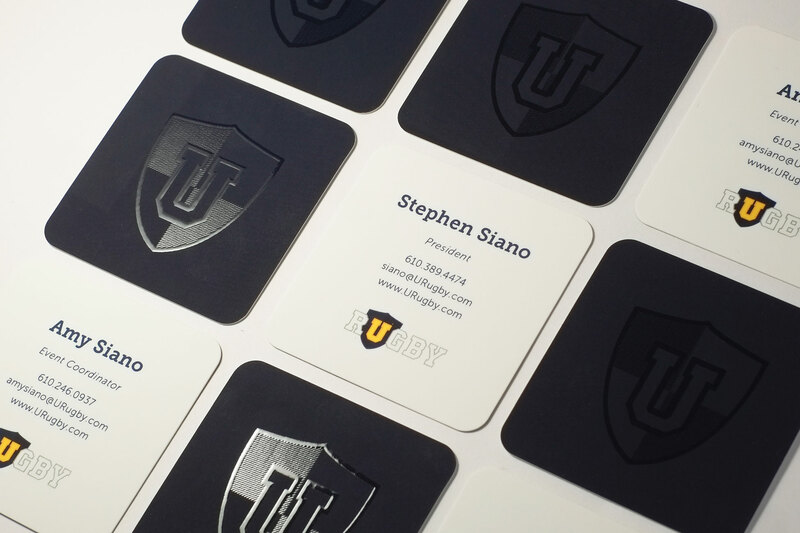 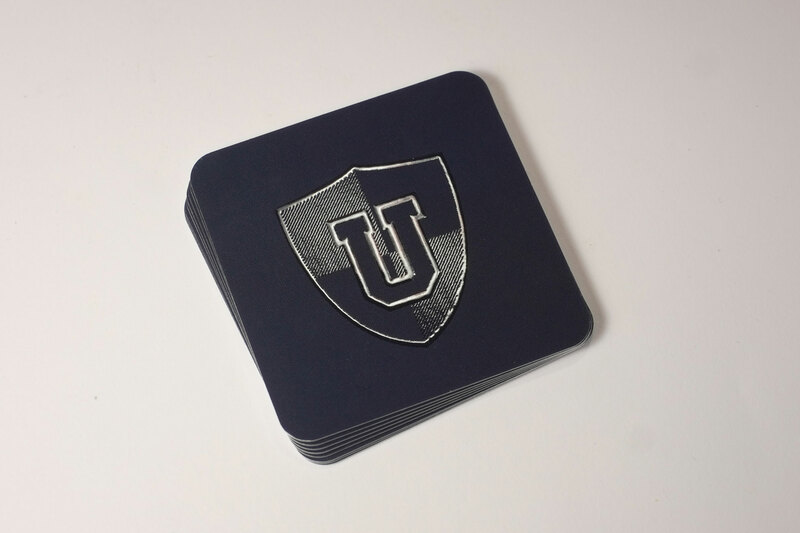 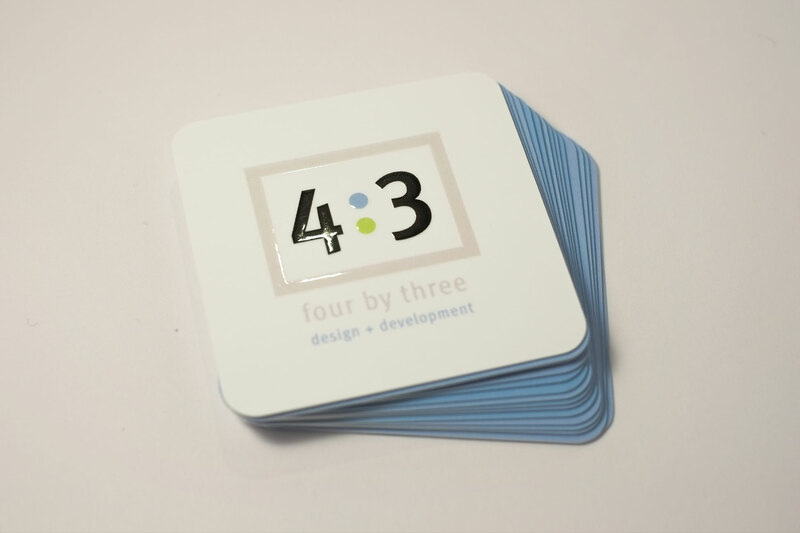 I created a set of business cards for 4x3, LLC and its sister brand Urugby. 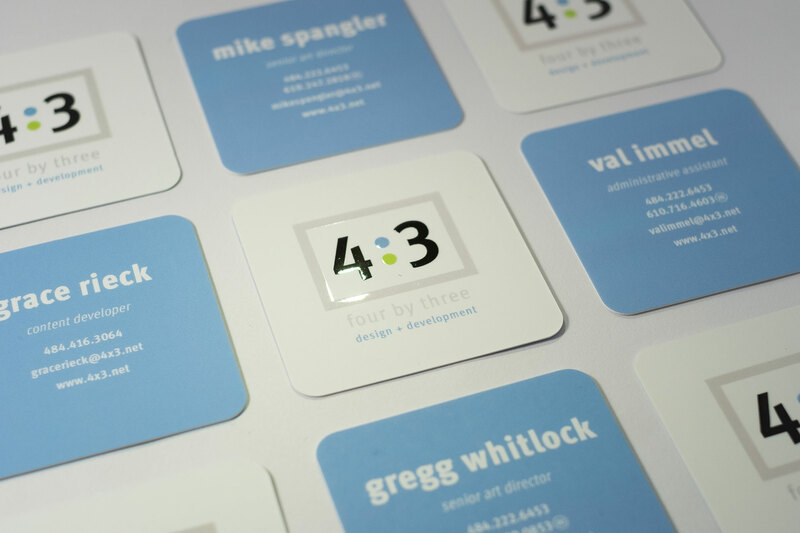 I utilized their original color palates to create a refreshed and sophesticated look to the brand. 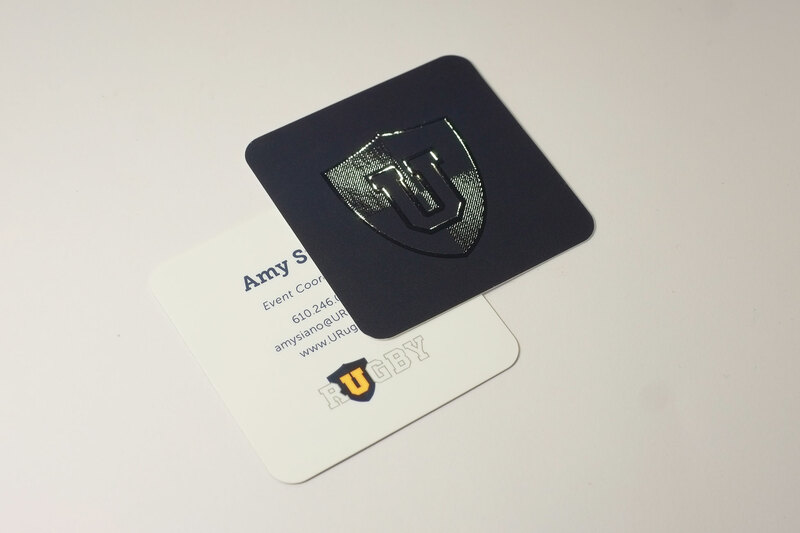 To spike visual and tactile interests to the designs, I added a raised spot gloss for the 4x3 logo, as well as a complete raised spot gloss logo to contrast the dark, solid color for Urugby. 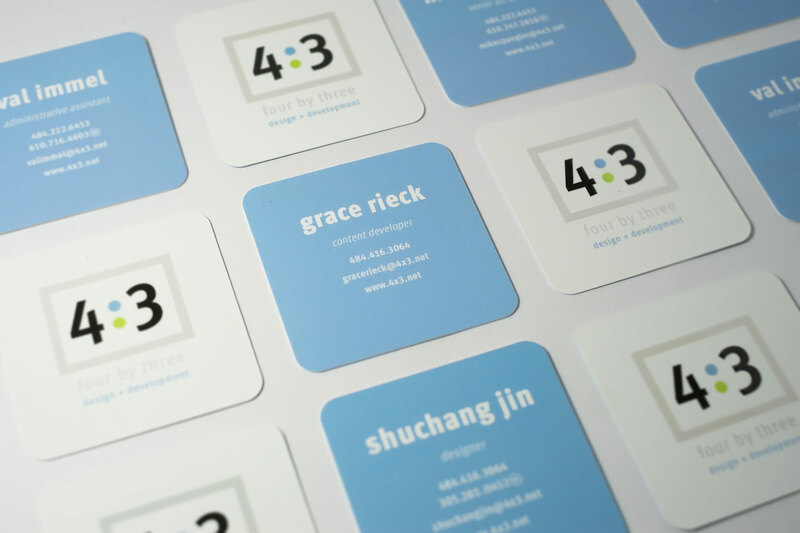 The cards are printed with Moo on 19pt Super paper with a soft touch finish.